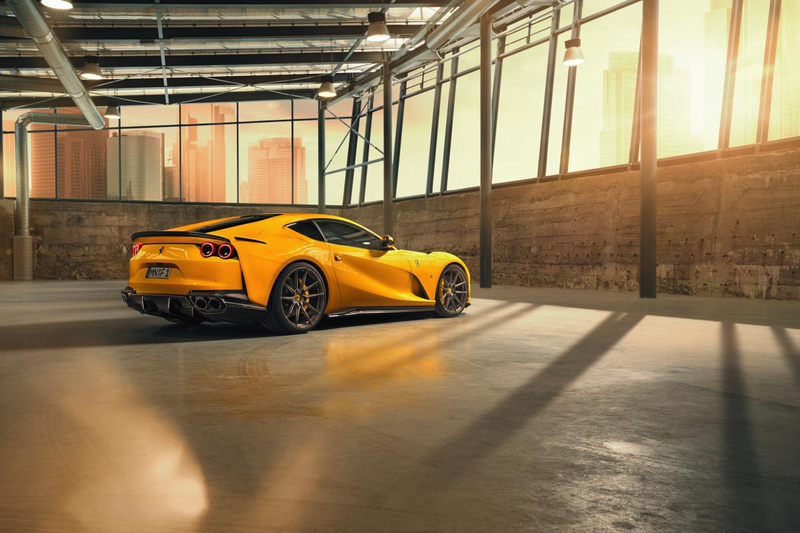 TAG Motorsports - Blog - Novitec 812 SuperFast is HERE! 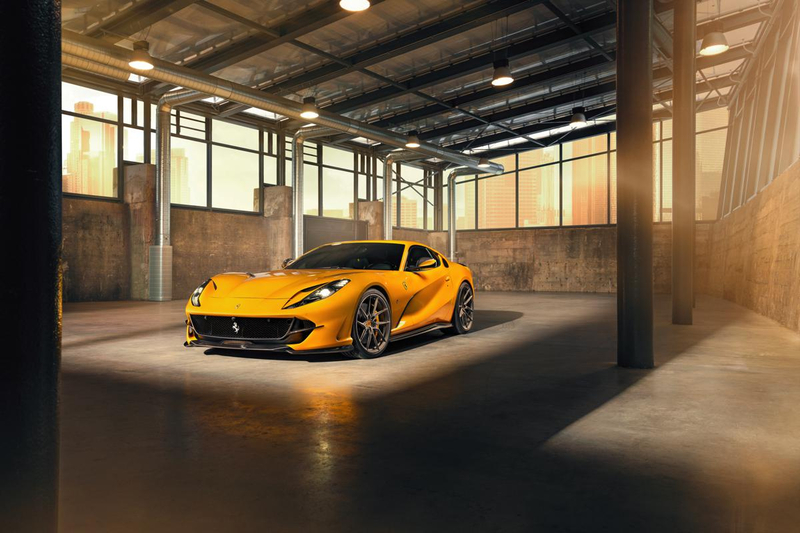 The new Ferrari 812 Superfast is here and consequently is the focus of the latest developments from NOVITEC, the world's leading refinement specialist for the sports cars from Maranello. Another NOVITEC specialty is crafting exclusive interiors tailored to the vehicle owner's preferences in every detail with regard to color and design. The two carbon air outlets on the hood and the surrounds for the side air outlets aft of the front fender wells add further motor racing touches. Carbon caps for the side mirrors round off the NOVITEC design program for the current top-of-the-range Ferrari model.The new NOVITEC hi-tech forged wheels developed in cooperation with US wheel manufacturer Vossen play another important part in the even more spectacular looks of the enhanced 812 Superfast. Both types of wheels feature five delicately shaped pairs of spokes. As the name indicates, the NOVITEC NF8 Directional forged wheels offer another special stylistic feature: A special version of the wheel is manufactured for each corner of the vehicle. NOVITEC goes to these tremendous lengths to remedy a huge disadvantage of conventional wheels that feature spokes angled like a windmill. Usually, only one die is made to save costs, which has the drawback of the spokes turning in the right direction only on one side of the vehicle. On the other side, the spokes are angled in the opposite direction and seem to "brake" the vehicle visually. In addition, this styling also impairs the cooling and venting of the brakes on one side of the car. While the NOVITEC technical specialists are already working on performance upgrades for the 6.5-liter V12 of the 812 Superfast, an initial performance-optimizing option is already available, a NOVITEC high-performance exhaust system with 110-millimeter tailpipes with a choice of polished or matte stainless steel. These exhaust systems are available made from high-gloss stainless steel or can also be made from the even lighter INCONEL used in Formula 1 racing. This allows saving up to eleven kilograms in weight over the production system. Versions with actively controlled exhaust flaps are optionally available - optionally even with radio remote. In addition, NOVITEC also offers lighter and even more efficient sports catalysts.